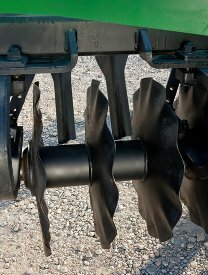 The 2633VT offers an active hydraulic rolling baskets that give the operator wide-ranging adjustability for a variety of conditions. 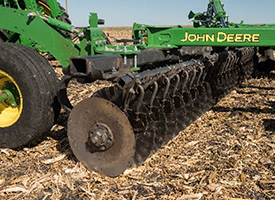 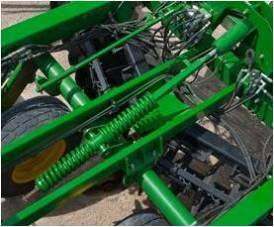 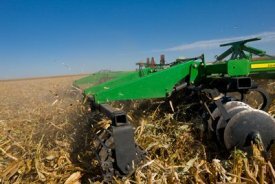 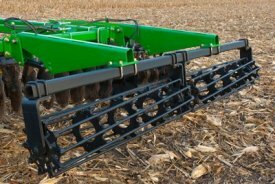 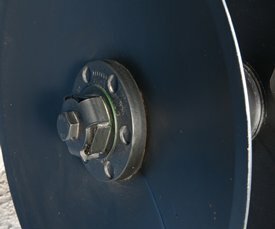 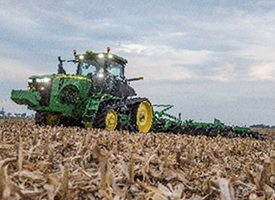 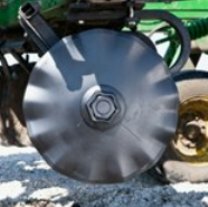 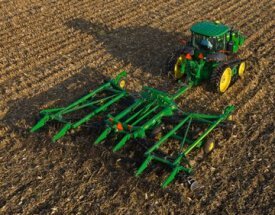 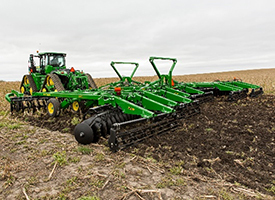 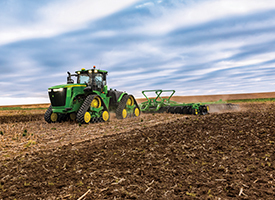 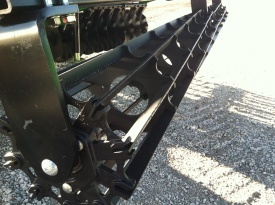 The drawbars and rolling basket on the rear harrow are built with strength in mind for demanding vertical tillage conditions. 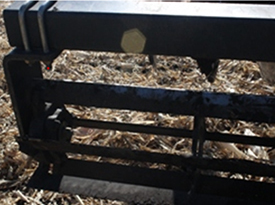 The hydraulic rolling basket is offered with a round bar, flat bar, or knife-edge. 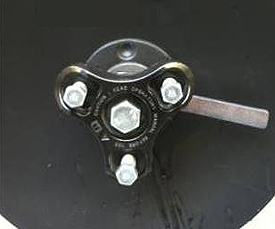 The flat bar is not recommended for rocky conditions. 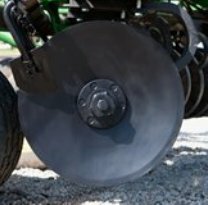 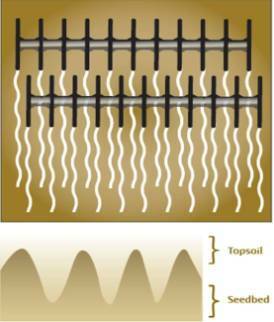 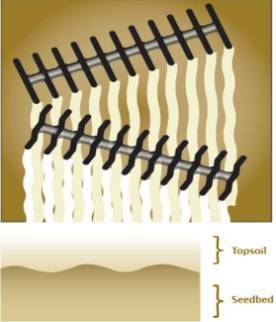 The knife-edge is best for heavier, wet soil. 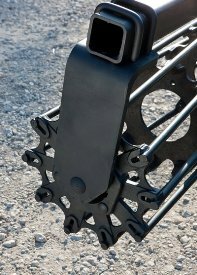 With these rolling baskets, a cast frame was designed to encase the bearing in a high-density polymer liner to allow dynamic movement and maintenance-free characteristics. 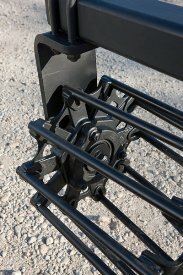 Similar to the gangs on the 2633VT, the active hydraulic rolling baskets feature maintenance-free bearings to minimize non-productive activities. 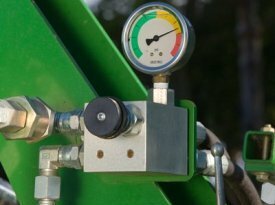 In order to change the rolling basket down pressure, simply rotate the down pressure valve dial clockwise to increase pressure and counterclockwise to decrease pressure.